SoapBox issued the following announcement on Nov. 26. If you’ve stepped into a mall or pretty much any type of store in the last week or so, you’ve probably noticed that everyone’s in full-on holiday mode. The decorations have been hauled out and jingle bells may well be pipping out the speakers, which can either make you feel giddy for the shopping season or totally stressed out. There’s a lot to choose from. In fact, between now and January, shoppers are expected to spend somewhere in the billions. That’s a lot of money. But just imagine how great you’ll feel if every dollar you spend on gifts this year helps those in need. Buying from businesses that donate money or products at a one-to-one rate with every purchase is a brilliant, no-sacrifice way to make your dollars go further, all while making a difference in our world. It’s a win-win situation. You can do good, feel good, and create an overall better shopping experience. Holiday season coincides with the season of charitable giving, and you can tackle both in one go by buying gifts that give back.Several studies have shown that global consumers want to make meaningful purchases, particularly millennials who are prepared to spend more for products that have a positive impact in our world. Soapbox is dedicated to providing quality products that make a difference, and we’re getting on board with Giving Tuesday this year. Giving Tuesday is a world-wide day of giving, mostly powered by impactful collaborations and social media. The day is celebrated on the Tuesday after Thanksgiving and is the perfect way to kick off this year’s charitable season when you’re ticking off that gift list for everyone from mom, dad, and kids to teachers, colleagues, and your inevitable secret Santa parties. 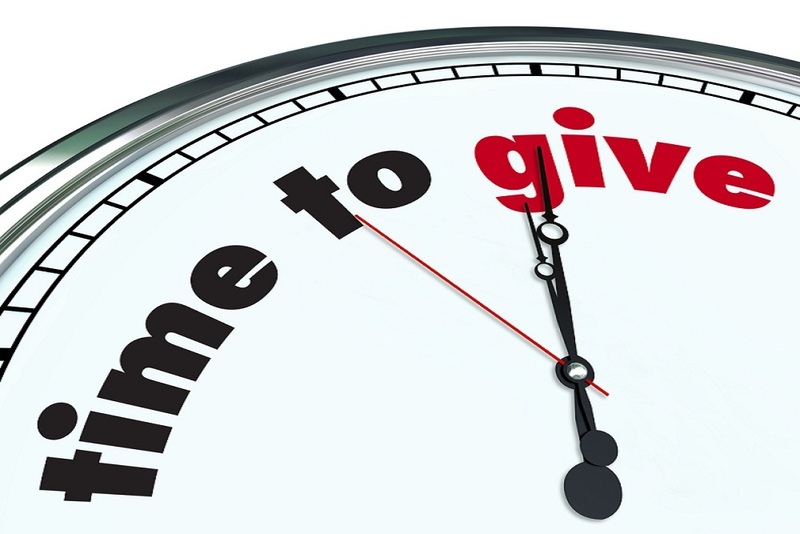 #GivingTuesday, as it’s dubbed on social media, is the ideal way to practice gratitude. While Black Friday and Cyber Monday are dedicated to finding amazing deals, Giving Tuesday is the day to celebrate generosity. We agree with #GivingTuesday’s vision of a simple idea of giving more. Best of all, you can join Soapbox in celebrating generosity this year, on Tuesday, November 27. Our belief is that soap = hope. That’s why every time you purchase a Soapbox product from us, we donate a bar of soap to those in need. Often, the donation is paired with vital hygiene education. We go to lengths to practice sustainability by working with local soap makers for the bars we donate.The donated bars of soap are made from recycled bars that are source from hotels. The bars are shaved down and completely sanitized to create a brand-new bar for someone in need, be it right here or abroad in countries like Cambodia and India. Best of all, we have so many great gifts to choose from this giving season. Whether the love of your life loves nothing more than nourishing skin care/ hair care products like our Soften and Moisturize Bundle, or you want to gift someone a luxurious variety kit, like our gorgeous Top Sellers Bundle, you’re assured that we will be giving back. This Giving Tuesday, Soapbox wants to donate to one of your favorite local nonprofits! One lucky winner who places an order on Giving Tuesday and uses code GIVE2018 at checkout will be get the chance to pick a local nonprofit for us to donate 200 bars of soap to. This holiday season, we’re making the donations feel even closer to home. Just imagine how much more special this season will be for you and your gift recipients knowing that those less fortunate have benefited from your purchases. The holidays are a season for giving, not just to your nearest and dearest, but also those in need. Whether your contribution this Giving Tuesday is a donation in someone’s name or you purchase products from us safe in the knowledge that we’re giving back, it is the perfect day to consider gifts that really do give twice. Need a little added motivation? Research shows that giving back also helps you feel good. So, go ahead and get involved with us this #GivingTuesday and add Soapbox products to your list for an extra perk this gift-giving season. See our range of Soapbox products and find the perfect gifts this holiday season. Want to get notified whenever we write about SoapBox ? Sign-up Next time we write about SoapBox, we'll email you a link to the story. You may edit your settings or unsubscribe at any time.